Our general, universal Terms of Service (to which you agree) is provided below and is accessible from within all Homebot products and services. If you are a paying customer of Homebot (typically a lender, real estate agent or other financial services professional) you are subject to certain terms of using our Service. Note, in some instances, your license to use our Service may be part of a company-wide agreement between your employer or affiliate and us. In those cases, you may have received a separate copy of the Terms of Service (or Master Customer Agreement) from your employer or affiliate. But, at a minimum, these Terms of Service are universal to all of our customers, including you, and constitute an agreement (the “Agreement”) between the two of us. When we talk about “Homebot,” “we,” “our,” or “us” in this Agreement, we are referring to Homebot, Inc., the company which provides the Services. When we talk about the “Services” in this policy, we are referring to the products and services of currently available for use via a web browser on your desktop or mobile device. This Agreement is effective (the “Effective Date”), by and between Homebot, Inc., a Colorado corporation (“Homebot”) and you (the “Customer”) on the earliest of any of the following: a) the date you logged into your newly created account; b) the date you signed a written version of this or any other Terms of Service agreement between us; and/or c) the date on which your employer or affiliate signed this or any other agreement between them and us. Customer desires to obtain from Homebot certain application services and products for use in Customer’s business operations. This Agreement shall govern the provision of the Service by Homebot to Customer. Capitalized terms herein used which are not herein defined shall have the respective meanings ascribed to them in this Agreement. The parties agree to the terms and conditions of this Agreement and all attachments and exhibits thereto. Homebot provides a software-as-a-service platform over the Internet (the “Service”). Homebot reserves the right to make changes, modifications and enhancements to the Service from time to time in its sole discretion. Subject to the terms and conditions of this Agreement, Homebot hereby grants Customer, during the term of the applicable Service Term(s), a non-exclusive, non-transferable, non-sublicensable, non-assignable license to use the Service as provided hereunder solely for Customer’s internal business purposes and solely in accordance with the Documentation and only for the Customer location(s) and number of Users specified in the applicable Order Form(s). Except as expressly permitted under this Agreement or an Online Order, Customer shall not, and shall not assist or encourage any third party to, (i) license, sublicense, sell, resell, transfer, assign, distribute or otherwise commercially exploit or make available to any third party the Service in any way; (ii) interfere with or disrupt the integrity or performance of the Service or the Content in any manner; (iii) attempt to gain unauthorized access to the Service; (iv) remove, alter, or obscure any proprietary notices (including copyright notices) of Homebot or its licensors contained within the Documentation or displayed in connection with the Service (including Software); (v) modify or make derivative works based upon the Service or the Content; (vi) create Internet “links” to the Service or “frame” or “mirror” any Content on any other server or wireless or Internet-based device, unless otherwise mutually agreed in writing by the parties; (vii) itself, or permit others, to duplicate, copy, translate, disassemble, decompile, reverse engineer or remanufacture the Software in whole or in part or otherwise attempt to derive the source code for the Software; (viii) reverse engineer or access the Service in order to (a) build a competitive product or service, (b) build a product using similar ideas, features, functions or graphics of the Service, or (c) copy any ideas, features, functions or graphics of the Service; or (ix) otherwise use the Service or the Software except as expressly allowed under this Agreement. Customer may not release to any third party the results of the Service performed by or on behalf of Customer for purposes of monitoring its availability, performance or functionality, or for any other benchmarking or competitive purposes without the prior written approval of Homebot. Customer shall not use the Service to: (i) send spam or duplicative or unsolicited messages in violation of applicable laws; (ii) send or store infringing, obscene, threatening, libelous, or otherwise unlawful or tortious material, including material harmful to children or in violation of third party privacy rights; or (iii) send or store material containing software viruses, worms, Trojan horses or other harmful computer code, files, scripts, agents or programs. Customer may only use the Service for its own internal business purposes as specified in an Order Form or Online Order. Each User is required to accept the terms of Homebot’s End User License Agreement (EULA) or Terms of Service (ToS) disclosure prior to accessing and/or during use of the Service. Homebot may update its form of EULA and/or ToS from time to time. As part of the Service and subject to the terms and conditions of this Agreement, including Customer’s payment of all applicable fees, Homebot will use commercially reasonable efforts to (a) ensure that the Service is accessible through the Homebot Site over normal network connections, excepting downtime due to necessary maintenance and troubleshooting; (b) maintain the security of the Service; and (c) provide telephone, e-mail and web-based support services during Homebot’s regular business hours for Service-related questions from Customer’s internal Users. Without limiting the foregoing, Homebot shall use commercially reasonable efforts to meet the service levels specified in Exhibit A. Customer shall order the Service by completing and signing an Order Form or completing an Online Order. Each Order Form or Online Order shall be subject to acceptance by Homebot, in its sole discretion, through Homebot’s signature or performance thereunder. Each accepted Order Form or completed Online Order shall become incorporated herein by reference. Terms, provisions or conditions on any purchase order, acknowledgement, or other business form or writing that Customer may use in connection with the provision of the Service by Homebot will have no effect on the rights, duties or obligations of the parties hereunder, regardless of any failure of Homebot to object to such terms, provisions or conditions. In the cases of certain written agreements for Service or bulk orders, Customer may be required to provide Homebot a fully executed purchase order or executed purchase order exception form (provided by Homebot) for each accepted Order Form. Once accepted by Homebot, an Order Form cannot be canceled, in whole or in part, without the prior written approval of Homebot (subject to each party’s termination rights as set forth below). In the case of larger agreements involving a larger group of end-users, the parties may also agree from time to time for Homebot to provide certain professional consulting services (“Professional Services”). The specific Professional Services to be performed by Homebot under this Agreement shall be set forth in one or more Statements of Work mutually agreed upon by the parties. A Statement of Work shall not be binding unless signed by both parties, and upon such signing, shall be attached to and incorporated into this Agreement. Each Statement of Work will be governed by the terms of this Agreement and the Professional Services terms and conditions attached hereto as Exhibit B. Customer shall have sole responsibility for the accuracy, quality, integrity, legality, reliability, appropriateness, and intellectual property ownership or right-to-use of all Customer Data. Homebot shall deem ownership of Customer Data to belong to the Customer paying for the Service and agreeing to the Terms of Service. Furthermore, Customer shall be responsible for resolution of any Customer Data ownership for any Customer Data provided to Homebot, whether direct by Customer or by third-party “proxy” (e.g. employers, affiliates, agents or any other third-party acting on Customer’s or User’s behalf). Homebot shall not be responsible or liable for the deletion, correction, destruction, damage, loss or failure to store any Customer Data. Customer agrees and acknowledges that (i) Homebot is not obligated to retain Customer Data for longer than thirty (30) days after termination, and (ii) Homebot has no obligation to retain Customer Data, and may delete Customer Data, if Customer has materially breached this Agreement, including any failure to pay outstanding fees, and such breach has not been cured within ten (10) days of notice of such breach. Upon termination for cause resulting from an uncured breach, Customer’s right to access or use Customer Data shall immediately cease, and Homebot shall have no obligation to maintain or forward any Customer Data. The fees and charges for the Service or other products/services shall be set forth in the applicable Order Form or Online Order. Customer acknowledges that the fee for the Service is based on one or more variable or fixed pricing models (the “Service Fee”). Except as expressly set forth in this Agreement or the applicable Order Form or Online Order, all payment obligations are non-cancelable and all amounts paid are nonrefundable. All amounts due hereunder are exclusive of, and Customer shall pay, all sales, use and other taxes, export and import fees, customs duties, network access fees, regulatory charges and similar charges applicable to the transactions contemplated by this Agreement, except for taxes based upon Homebot’s net income. Unless otherwise expressly provided in an applicable Order Form or Online Order, and subject to credit approval, Customer will pay Homebot all amounts due within thirty (30) days after the date of invoice. Generally for an Online Order, payment is generally provided via credit card and such payments may be processed immediately upon completion of the Online Order or within thirty (30) days. Customer acknowledges that Homebot reserves the right to require automatic payments by credit card or automated clearing house (ACH). All payments must be made in U.S. dollars. In addition to any other rights granted to Homebot under applicable law and/or this Agreement, Homebot reserves the right to suspend Customer’s (and its Users’) access to the Service if Customer’s account becomes delinquent and is uncured for a period of thirty (30) days. Delinquent invoices are subject to interest of 1.5% per month on any outstanding balance, or the maximum amount permitted by law, whichever is less, from the date due, plus all expenses of collection. Customer will continue to be charged for Service Fees during any period of Service suspension. The term of this Agreement shall commence on the Effective Date and shall continue for as long as any applicable Order Form or Online Order associated herewith remains in effect or as long as Homebot continues to provide Customer with the Service hereunder, whichever is longer. The term of each Service subscription shall continue for the period specified on the applicable Order Form (“Initial Service Term”) unless terminated as set forth in this Section. Following the expiration of the Initial Service Term, the Service term shall automatically renew for the same period of time as the Initial Service Term (or such other renewal period(s) specified in the applicable Order Form or Online Order) (each a “Renewal Service Term”) unless (i) this Agreement expires or is terminated as provided for under this Section; or (ii) either party provides written notice of non-renewal at least sixty (60) days prior to the end of the Initial Service Term or the then-current Renewal Service Term (the Initial Service Term and each Renewal Service Term shall be collectively referred to as the “Service Term”). Each Renewal Service Term shall be on the same terms and conditions set forth in this Agreement, except the fees (including the Service Fee) shall be charged at Homebot’s then-current rates unless otherwise stated in the applicable Order Form or Online Order or otherwise agreed to by Homebot in writing. Unless otherwise expressly set forth in a Change Order, the Service Term for any Change Order shall be the same Service Term of the corresponding Initial Order Form or Renewal Order Form or Online Order (as applicable). Either party may terminate this Agreement or an Order Form upon written notice if the other party (a) is in default with respect to any material term or condition of this Agreement or the applicable Order Form and such failure or default continues unremedied for a period of thirty (30) days following written notice of such failure or default; (b) shall formally declare bankruptcy, insolvency, reorganization, liquidation, or receivership; or (c) shall have instigated against it bankruptcy, insolvency, reorganization, liquidation, or receivership proceedings, and shall fail to remove itself from such proceedings within ten (10) days from the date of institution of such proceedings. Certain Online Orders may be terminated in any given month by Customer by notifying Homebot to cancel the Customer’s Service. In such cases, Homebot will not refund any unused portion of the Services fees for the month in which the Service is terminated. In the event of any termination of this Agreement or an Order Form or Online Order, any amounts owed to Homebot under this Agreement and/or the Order Form (as the case may be) before such termination or expiration will be immediately due and payable. In addition, in the event an Order Form or Online Order is terminated before the expiration of the applicable Service Term (excluding any termination by Customer for Homebot’s uncured breach or bankruptcy/insolvency), Customer shall remain responsible for the payment of all unpaid amounts under such Order Form or Online Order for the remainder of the Service Term (had termination not occurred), and all such amounts shall become immediately due and payable. Upon termination or expiration of this Agreement or an Order Form or Online Order for any reason, all rights granted by Homebot to Customer hereunder and/or thereunder will immediately cease to exist and Customer must discontinue all use of the Service. Sections 3, 4, 10, 14, 15, 16, 17, 18 and 19, together with any accrued payment obligations, will survive expiration or termination of this Agreement for any reason. Notwithstanding anything contained herein to the contrary, the Service, Software (including any Software incorporated or embedded in any Service, which is licensed and not sold to Customer hereunder), and Documentation, and all worldwide Intellectual Property Rights therein, are the exclusive property of Homebot and its licensors. All rights not expressly granted to Customer under this Agreement are reserved by Homebot and its licensors. During each Service Term, Homebot warrants that the applicable Service will perform substantially in accordance with the current Documentation provided by Homebot. In the event that the Service fails to perform in accordance with this warranty, Customer must promptly inform Homebot of such fact. The entire obligation of Homebot and Customer’s sole and exclusive remedy for breach of this warranty is limited, at Homebot sole option, to Homebot either (a) repairing the Service and correcting any defects in performance without any additional charge to Customer, or (b) in the event that such repair is not commercially practicable, as determined by Homebot, terminating this Agreement and/or the applicable Order Form(s) and providing Customer a refund of any paid but unused fees for the terminated Service. Homebot does not warrant that Customer’s use of the Service will be error-free or uninterrupted. This limited warranty is contingent upon proper use of the Service pursuant to this Agreement, the applicable Order Form(s) and the Documentation, and is void if the Service has been interfered with by Customer or has been subjected to unusual stress or misuse of any kind. EXCEPT FOR THE EXPRESS WARRANTIES SET FORTH IN THIS AGREEMENT, THE SERVICE ARE PROVIDED “AS IS,” WITHOUT ANY WARRANTIES OF ANY KIND, WHETHER EXPRESS, IMPLIED, OR STATUTORY, AND HOMEBOT SPECIFICALLY DISCLAIMS ALL IMPLIED WARRANTIES, INCLUDING, ALL WARRANTIES OF MERCHANTABILITY, FITNESS FOR A PARTICULAR PURPOSE, TITLE, NON-INFRINGEMENT, AND ANY WARRANTIES ARISING FROM COURSE OF DEALING OR COURSE OF PERFORMANCE. Customer will defend, indemnify and hold harmless Homebot and its affiliated companies and each of their respective officers, directors, employees and agents from and against any claims, liabilities, losses, damages, judgments, awards, fines, penalties, costs and expenses (including reasonable attorneys’ fees and defense costs) which may be sustained or suffered by any of them arising out of or based upon (a) Customer’s (and its Users’) access to and use of the Service; (b) Customer’s (and its Users’) collection, distribution and use of Content and Customer Data; and/or (c) Customer’s breach of its obligations, representations and/or warranties under this Agreement; provided, however, Customer shall have no indemnity obligations under this Section to the extent any such claim results from Homebot’s gross negligence or willful misconduct. Homebot will defend at its own expense any action against Customer brought by a third party to the extent that the action is based upon a claim that the Service infringes any U.S. patents or any copyrights or misappropriates any trade secrets of a third party, and Homebot will pay those costs and damages finally awarded against Customer in any such action that are specifically attributable to such claim or those costs and damages agreed to in a monetary settlement of such action. If the Service becomes, or in Homebot’s opinion is likely to become, the subject of an infringement claim, Homebot may, at its option and expense, either (i) procure for Customer the right to continue using Service, (ii) replace or modify Service so that it becomes non-infringing, or (iii) terminate this Agreement upon written notice to Customer and refund Customer the Service Fees paid by Customer during the twelve (12) month period preceding the effective date of termination. Notwithstanding the foregoing, Homebot will have no obligation with respect to any infringement claim based upon (a) any use of Service not in accordance with this Agreement, the applicable Order Form or the Documentation or for purposes not intended by Homebot, (b) any use of Service in combination with other products, equipment or software not intended by Homebot to be used with Service, (c) any Customer Data, or (d) any modification of the Service by any person other than Homebot or its authorized agents or subcontractors. THIS SECTION STATES HOMEBOT’S ENTIRE LIABILITY AND CUSTOMER’S EXCLUSIVE REMEDY FOR INFRINGEMENT CLAIMS AND ACTIONS. Indemnifying Party’s reasonable request and expense, in defending or settling the claim. Notwithstanding the foregoing, the Indemnified Party shall have the right to participate in (but not control) the defense of any such claim with counsel of its choice and at its own expense. In no event will Homebot be liable for any consequential, indirect, Exemplary, special, or incidental damages, or for any lost data, lost profits, costs of procurement of substitute goods or services OR ANY PENALTIES TO WHICH CUSTOMER MAY BE SUBJECT, arising from or relating to this Agreement or the Service IN ANY WAY, however caused and under any theory of liability (including negligence), even if Homebot has been advised of the possibility of such damages. Homebot’s total cumulative liability FOR ALL DAMAGES ARISING OUT OF OR RELATED TO THIS AGREEMENT or the service SHALL NOT EXCEED THE AMOUNTs PAID to Homebot BY CUSTOMER during the twelve (12) month period prior to the events giving rise to such liability. The party receiving Confidential Information (“Receiving Party”) from the other party (“Disclosing Party”) will not use any Confidential Information of the Disclosing Party for any purpose not expressly permitted by this Agreement, and will disclose the Confidential Information of the Disclosing Party only to the employees or contractors of the Receiving Party who have a need to know such Confidential Information for purposes of this Agreement and who are under a duty of confidentiality no less restrictive than the Receiving Party’s duty hereunder. The Receiving Party will protect the Disclosing Party’s Confidential Information from unauthorized use, access, or disclosure in the same manner as the Receiving Party protects its own confidential or proprietary information of a similar nature and with no less than reasonable care. The Receiving Party’s obligations under this Section with respect to any Confidential Information of the Disclosing Party will terminate if and when the Receiving Party can document that such information: (a) was already lawfully known to the Receiving Party at the time of disclosure by the Disclosing Party; (b) is disclosed to the Receiving Party by a third party who had the right to make such disclosure without any confidentiality restrictions; (c) is, or through no fault of the Receiving Party has become, generally available to the public; or (d) is independently developed by the Receiving Party without access to, or use of, the Disclosing Party’s Confidential Information. In addition, the Receiving Party may disclose Confidential Information of the Disclosing Party to the extent that such disclosure is: (i) approved in writing by the Disclosing Party, (ii) necessary for the Receiving Party to enforce its rights under this Agreement in connection with a legal proceeding; or (iii) required by law or by the order of a court or similar judicial or administrative body, provided that the Receiving Party notifies the Disclosing Party of such required disclosure in writing prior to making such disclosure and cooperates with the Disclosing Party, at the Disclosing Party’s reasonable request and expense, in any lawful action to contest or limit the scope of such required disclosure. Except as otherwise expressly provided in this Agreement, the Receiving Party will return to the Disclosing Party or destroy all Confidential Information of the Disclosing Party in the Receiving Party’s possession or control and permanently erase all electronic copies of such Confidential Information promptly upon the written request of the Disclosing Party or upon the expiration or termination of this Agreement; provided, however, the Receiving Party may retain one (1) archival copy for record retention purposes and compliance with applicable law. Upon the request of the Disclosing Party, the Receiving Party will certify in a writing signed by an officer of the Receiving Party that it has fully complied with its obligations under this Section. In addition to any other agreement, representation, warranty or undertaking contained in this or any other agreement, Homebot hereby acknowledges that it and Customer are subject to the privacy regulations under The Gramm-Leach-Bliley Act of 1999 (Public Law 106-102, 113 Stat. 1338), as amended from time to time (the “GLB Act”), and the regulations promulgated thereunder, pursuant to which the Customer is required to ensure that Homebot appropriately safeguards the privacy, use and protection of nonpublic personal information of the Customer’s employees, customers and prospective customers. Therefore, anything to the contrary contained in this Section 16 notwithstanding, Homebot agrees that (a) it shall treat all Customer Data with that standard of care that the Customer must use and observe with Customer Data pursuant to the GLB Act; (b) it will not disclose or use any Customer Data except to the extent necessary to carry out its obligations under this Agreement and for no other purpose; (c) it shall not disclose Customer Data to any third party, including, without limitation, its third party service providers, without the prior express written consent of the Customer, and then only upon the execution of a written agreement by the third party, which agreement shall be approved by the Customer, that safeguards Customer Data in a manner consistent with the obligation of Homebot to safeguard Customer Data under this Agreement; (d) it shall take all actions necessary and sufficient to require all third parties approved under subsection (c) to maintain effective information security measures to protect Customer Data from unauthorized disclosure or use. The obligations set forth in this Section 16 shall survive termination of this Agreement. Each party acknowledges that a breach or threatened breach of this Section would cause irreparable harm to the non-breaching party, the extent of which would be difficult to ascertain. Accordingly, each party agrees that, in addition to any other remedies to which a party may be legally entitled, the non-breaching party shall have the right to seek immediate injunctive or other equitable relief in the event of a breach of this Section by the other party or any of its employees or agents. Each party shall comply with all Applicable Law and regulations concerning its use or provision of the Service, including all applicable privacy laws and export and import control laws and regulations. Customer may not assign or transfer, by operation of law or otherwise, any of its rights under this Agreement (including the license rights granted to Customer hereunder) to any third party without Homebot’s prior written consent, which consent shall not be unreasonably withheld or delayed. Notwithstanding the foregoing, Customer shall have the right to assign this Agreement to any successor to its business or assets to which this Agreement relates, whether by merger, sale of assets, sale of stock, or otherwise; provided, however, for any such assignment by Customer to be valid, (a) Customer must provide written notice to Homebot prior to such assignment, (b) all amounts due and payable at such time must be immediately paid to Homebot and (c) the assignee must execute an assignment and assumption agreement (in a form approved by Homebot) that confirms such assignee’s assumption of all of Customer’s obligations hereunder. Company shall have the right to assign this Agreement to any other person, firm or corporation without notice to Customer and shall have the further right to subcontract any installation and/or services, including monitoring, which it may be required to perform hereunder. Customer acknowledges that this Agreement, and particularly those paragraphs relating to Company’s disclaimer of warranties, maximum liability, limitation of liability, and third party indemnification, inure to the benefit of and are applicable to any assignees and/or subcontractors, and they bind Customer with respect to said assignees and/or subcontractors with the same force and effect as they bind Customer to Company. All notices, consents, and approvals under this Agreement must be delivered in writing by electronic mail, courier, electronic facsimile (fax), or certified or registered mail (postage prepaid and return receipt requested) to the other party at the address for each party first set forth above, and will be effective upon receipt or three (3) business days after being deposited in the mail as required above, whichever occurs sooner. The relationship of the parties established under this Agreement is that of independent contractors and neither party is a partner, employee, agent or joint venture partner of or with the other, and neither party has the right or authority to assume or create any obligation on behalf of the other party. Except for any payment obligations, neither party shall be liable hereunder by reason of any failure or delay in the performance of its obligations hereunder for any cause which is beyond the reasonable control of such party. Without limiting the generality of the foregoing, Customer acknowledges that Homebot’s Service may be subject to limitations, delays and other problems inherent in the use of the Internet and electronic communications. Homebot is not responsible for delays, delivery failures or other damage resulting from such problems. This Agreement will be governed by and interpreted in accordance with the laws of the State of Colorado without reference to its choice of law rules. The United Nations Convention on Contracts for the International Sale of Goods does not apply to this Agreement. Except for any injunctive or other equitable relief pursuant to this Agreement, any action or proceeding arising from or relating to this Agreement shall be brought exclusively in a federal or state court in Denver, Colorado, and each party irrevocably submits to the jurisdiction and venue of any such court in any such action or proceeding. If any legal action is brought to enforce this Agreement, the prevailing party will be entitled to receive its attorneys’ fees, court costs, and other collection expenses, in addition to any other relief it may receive. If any provision of this Agreement is held by a court of competent jurisdiction to be unenforceable, such provision will be changed and interpreted to accomplish the objectives of such provision to the greatest extent possible under applicable law and the remaining provisions of this Agreement will continue in full force and effect. Each party hereby grants to the other party the limited right to use the other party’s name and marks in marketing and publicity materials listing the other party as a customer or partner of the other party; provided, however, any such use must be pre-approved by the other party, which approval shall not be unreasonably withheld or delayed. This Agreement, including any Order Forms or Online Orders and attachments hereto and thereto, constitutes the entire agreement between the parties regarding the subject hereof and supersedes all prior or contemporaneous agreements, understandings, and communication, whether written or oral.  (4) Fair lending and anti-discrimination (e.g., ECOA, Fair Housing, HMDA) as applicable. Homebot’s personnel shall have no direct contact with Customer’s customers or end-users of the Homebot system. Homebot shall not identify themselves to customers or potential customers as Customer personnel. Homebot maintains appropriate compliance controls in place, including but not limited to the following, and further detailed in Homebot’s “Individual Code of Conduct & Information Security Plan” that all employees and third-party contractors of Homebot are required to sign and attend regular training and retraining every six (6) months. Homebot conducts regular and appropriate oversight to comply with federal consumer protection laws and regulations and has a singular designated resource to oversee the day-to-day compliance activities of Homebot. This resource oversees the development, implementation, and maintenance of appropriate compliance policies and procedures, training programs, internal monitoring, and consumer compliant resolution. Homebot maintains certain information security incident escalation and notification process with regard to Customer as defined in Homebot’s “Individual Code of Conduct & Information Security Plan” a copy of which is upon request, and will, at a minimum, notify Customer of any incident that affects the confidentiality of personal information no later than 24 hours after the Homebot identifies an incident may have occurred. In the event that the Homebot suspects or receives a security breach notification event involving personal information, Homebot will coordinate its response to such incident with Customer. Homebot will not distribute breach notices to Customer’s customer or potential customer without Customer’s prior written consent. Homebot has established and maintains, and shall continue to maintain, safeguards against the destruction, loss, alteration or unauthorized disclosure of the personal information in the possession of Homebot or any Homebot agent in accordance with Customer’s security standards set out in this Agreement, in Customer’s policies and procedures or as notified by Customer to Homebot from time to time, including use of passwords, and as set forth in Homebot’s Individual Code of Conduct & Information Security Plan. Upon Customer’s request, Homebot will provide Certificates of Insurance, evidencing which insurance policies are in full force and effect. “Change Order” means a written document (in a form approved by Homebot) that is executed by the parties and that alters the terms of a previously accepted Initial Order Form or Renewal Order Form. “Confidential Information” means the terms and conditions of this Agreement and all information related to a party’s business, financial affairs or operations, including information related to business plans, technology, source code, product or service development plans, pricing, techniques and methods, which is either marked or identified as confidential or which the receiving party knew or reasonably should have known, under the circumstances, was confidential. Without limiting the foregoing, the Software shall be considered the Confidential Information of Homebot. “Content” means any audio, video, images, graphical representations, documents, software, products and services contained in or made available via the Service, other than Customer Data. “Customer Data” means any data, information or material that Customer or Customer’s Users, subscribers or partners may disclose or submit in the course of using the Service. “Documentation” means any user manuals and other technical documentation made available by Homebot to Customer and Customer’s Users for the Service in either electronic, online help files or hard copy format. “Homebot Application Software” means the software application hosted by Homebot that provides the Homebot content. “Homebot Site” means the web site located at a unique URL to be provided by Homebot to Customer where Users may access and use the Service. “Homeowner” means an individual who owns a home, typically a residential property or rental investment property. “Initial Order Form” means the form evidencing the initial subscription order for the Service and any subsequent orders for any of the foregoing submitted online or in written form. Each Initial Order Form shall be in the form of a Customer issued purchase order or such other form approved by Homebot and shall specify, among other things, the order effective date, the products/services contracted for, the applicable fees, the billing period, and other charges as agreed to between the parties. “Intellectual Property Rights” means all present and future worldwide copyrights, trademarks, trade secrets, patents, patent applications, moral rights, contract rights, and other proprietary rights. “Online Order” means an order for Service entered into by Customer via one of Homebot’s online order acquisition pages or sites. “Order Form” means an Initial Order Form, Renewal Order Form or Change Order, as the case may be. “Prequalified Prospective Homeowner” (also refer to “Renter”) means an individual who has been determined by Customer to be a candidate to purchase a residential or rental property and who is not currently a Homeowner (a.k.a. a “first-time home buyer”). Prequalified Prospective Homeowners are often Renters and also know simply as a “Prospect”. “Renewal Order Form” means the form evidencing the renewal of a subscription order for the Service. Each Renewal Order Form shall be in the form of a Customer issued purchase order or such other form approved by Homebot and shall specify, among other things, the renewal order effective date, the products/services contracted for, the applicable fees, the billing period, and other charges as agreed to between the parties. “Renter” means an individual who rents a residential property from another individual and who does not own the home they rent. “Software” means collectively the Homebot Application Software including all updates, upgrades, enhancements and error corrections made generally available by Homebot in its sole discretion. “Third Party Products” means any software (in source code or object code format), including without limitation, “open source” software, or other materials of a third party supplier or licensor, that is licensed to Homebot and incorporated or integrated into or delivered with the Service. “Users” mean Customer’s personnel who are authorized by Customer to use the Service on behalf of Customer and have been supplied user credentials for this purpose. During the Term, provided that Customer has paid all Services Fees then due and payable, Homebot shall provide support to Customers who use the Service as provided herein (the “Support Agreement”). All capitalized terms not defined in this Support Agreement shall have the same meaning as the Master Customer Agreement (the “Agreement”). Homebot will provide a problem reporting service within the Homebot Application Software and Service. Homebot shall provide email and telephone support from 9:00 a.m. to 5:00 p.m. (MST) on Homebot’s business days. Homebot will make commercially reasonable efforts to provide an initial response within twenty-four (24) business hours from receipt of a Trouble Ticket. If the parties agree for the provision of Professional Services pursuant to a Statement of Work, this Exhibit B shall govern such Statement of Work and be deemed a part of the Agreement. “Homebot Property” means (a) the Software, Documentation, and all other software, documentation, tools, routines, programs, designs, technology, ideas, know-how, processes, techniques and inventions that Homebot makes, develops, conceives or reduces to practice, whether alone or jointly with others, either (i) prior to, contemporaneously with, or subsequent to the term of the Agreement outside of the performance of Professional Services, or (ii) in the course of performing the Professional Services, and (b) all enhancements, modifications, improvements and derivative works of the Software and of each and any of the foregoing. “Deliverable” means written work product prepared specifically for Customer and due for delivery to Customer pursuant to a Statement of Work. Professional Services. Subject to the terms and conditions of this Exhibit and the Agreement (including payment by Customer of all applicable fees), Homebot will perform the Professional Services agreed to in, and in accordance with, the applicable Statement of Work. Primary Contact. Customer shall designate one (1) primary point of contact under each Statement of Work who shall be responsible for managing the relationship between Homebot and Customer thereunder, including providing reasonable assistance to Homebot with technical and non-technical issues related to the applicable Professional Services. Access to Systems and Software. Customer acknowledges and agrees that Homebot’s ability to perform the Professional Services may require Homebot’s access (either through remote access or direct physical access on Customer’s premises) and use of certain systems, software, equipment, data and information within Customer’s custody and/or control (collectively, “Customer Property”). In connection therewith, Customer hereby represents and warrants that it has the right to provide Homebot with access to, and use of, any and all portions of such Customer Property in connection with Homebot’s performance of the Professional Services. Homebot may suspend its performance during any period that such conditions of access are not maintained and Customer agrees to reimburse Homebot for any reasonable costs incurred as a result of such suspension at its then current time and materials rates, plus reimbursable expenses. Customer shall provide sufficient, qualified and knowledgeable personnel capable of (a) performing Customer’s obligations as described in the Agreement and each Statement of Work and (b) making necessary and timely decisions on behalf of Customer. Cost and Schedule Estimates. Customer acknowledges that costs, time frames and dates for completion of the Professional Services as set out in a Statement of Work, unless otherwise stated in the Statement of Work, are estimates only and the ability to meet them is influenced by a range of factors including: (a) the developing nature of the scope of work described in the Statement of Work; (b) the performance of third party contractors involved in the process; (c) the contribution of resources by Customer; and (d) times of response by and level of co-operation of Customer. Obligations as to time are therefore on a “reasonable efforts” basis only and Homebot will not be liable for failure to meet time frames or completion dates except to the extent of Homebot’s gross negligence. In addition, Homebot will not be liable for failure to meet time frames or completion dates for Professional Services to the extent any such failure is due to an act or omission of Customer. Any dates or time periods relevant to performance by Homebot hereunder will be appropriately and equitably extended to account for any delays resulting from changes due to Customer’s acts or omissions. Changes to Existing Statement of Work. In the event either party requires a material change to a Statement of Work, such party will provide a written change order to the other for approval, specifying the change required (each a “Change Order”). Each party agrees that a Change Order may necessitate a change in the delivery schedule and/or fees due under the applicable Statement of Work. No Change Order will be binding upon either party until it is signed by the authorized representatives of both parties. Each Change Order will be governed by the terms of the Agreement (including this Exhibit B). New Statements of Work. Customer may also request that Homebot provide additional Professional Services not set forth in an existing Statement of Work at any time during the term of the Agreement, by notifying Homebot and describing such additional Professional Services. Any additional Professional Services shall be set forth in a new Statement of Work and shall not be binding upon either party until it is signed by the authorized representatives of both parties. Without limiting any applicable warranties set forth in this Exhibit B, the Professional Services will be deemed accepted upon performance and any Deliverables delivered pursuant to a Statement of Work will be deemed accepted upon delivery to Customer, unless otherwise expressly stated in the applicable Statement of Work. In the event a Statement of Work does not reference any specific pricing, such Professional Services will be performed at Homebot’s then-current service fees on a time and materials basis; that is, Customer will pay Homebot for the time spent performing the relevant Professional Services, plus materials, taxes and expenses. Any monetary limit referenced in a Statement of Work will be an estimate only for the purposes of Customer’s budgeting and Homebot’s resource scheduling unless expressly stated to be a definitive limit. Expenses. Customer will reimburse Homebot for all reasonable out-of-pocket expenses (including travel and accommodation expenses) incurred by Homebot in providing the Professional Services. Homebot will provide Customer with invoices detailing the hours, fees and expense reimbursements due Homebot, and will itemize and provide receipts for expenses over seventy five dollars ($75) upon request. Payment. Unless otherwise expressly provided in the applicable Statement of Work, Homebot may invoice Customer on a monthly basis for Professional Services provided by Homebot. Customer will pay Homebot pursuant to the terms of the Agreement. Ownership and License. Homebot will retain ownership of all right, title and interest in and to Homebot Property and all Intellectual Property Rights therein. Without limiting the generality of the foregoing, Customer acknowledges and agrees that: (a) any configuration or deployment of the Software, Service, Deliverables and/or Documentation will not affect or diminish Homebot’s rights, title and interest in and to the Software, Service, Deliverables, and/or Documentation; and (b) if Customer suggests any new features, functionality or performance for the Service, Software, Documentation, and/or Professional Services that Homebot subsequently incorporates into the Service, Software, Documentation, and/or Professional Services, Customer hereby grants Homebot a worldwide, non-exclusive, royalty-free, perpetual, irrevocable right and license to use and incorporate such suggestions and related Intellectual Property Rights into the Service, Software, Documentation, and/or Professional Services as applicable. Customer acknowledges that the incorporation of such new features, functionality, or performance will be the sole and exclusive property of Homebot and all such suggestions will be free from any confidentiality restrictions that might otherwise be imposed upon Homebot pursuant to the terms of this Exhibit B or the Agreement. Provided that Customer is not in breach of any material term of the Agreement, this Exhibit B or any Statement of Work, Homebot grants Customer a non-exclusive, non-transferable, royalty-free, license, without rights to sublicense, to use the Homebot Property that is incorporated into a Deliverable, solely for Customer’s own internal business purposes in connection with the use of the Deliverable and the Service. Warranty. Homebot warrants that it will perform the Professional Services in a professional manner consistent with industry standards and in accordance with the Statement of Work. Homebot will, as its sole obligation and Customer’s sole and exclusive remedy for any breach of the warranty set forth in this Section, re-perform the Professional Services which gave rise to the breach at Homebot’s expense, provided that Customer notifies Homebot in writing of the breach within thirty (30) days following performance of the defective Professional Services, specifying the breach in reasonable detail. THE EXPRESS WARRANTIES IN SECTION 9.1 ARE IN LIEU OF ALL OTHER WARRANTIES, EXPRESS, IMPLIED, OR STATUTORY, REGARDING THE PROFESSIONAL SERVICES, AND Homebot DISCLAIMS ALL OTHER WARRANTIES, INCLUDING ANY WARRANTIES OF MERCHANTABILITY, FITNESS FOR A PARTICULAR PURPOSE, TITLE, NON-INFRINGEMENT AND ANY WARRANTIES ARISING OUT OF COURSE OF PERFORMANCE OR COURSE OF DEALING. Homebot DOES NOT WARRANT OR REPRESENT THAT THE DELIVERABLES WILL BE FREE FROM BUGS OR THAT THE USE OF SUCH WILL BE UNINTERRUPTED OR ERROR-FREE OR MAKE ANY OTHER REPRESENTATIONS REGARDING THE USE, OR THE RESULTS OF THE USE, OF THE DELIVERABLES IN TERMS OF CORRECTNESS, ACCURACY, RELIABILITY, OR OTHERWISE. Customer understands that Homebot is not responsible for and will have no liability for hardware, software, or other items or any services provided by any persons other than Homebot, including without limitation, items supplied by Customer. In the event of a conflict between the terms and conditions of the Agreement (including this Exhibit B) and those of a Statement of Work or Change Order (if any), the following order of precedence shall apply: (i) Change Order (if any), (ii) Statement of Work, and then (iii) the Agreement (including this Exhibit B).